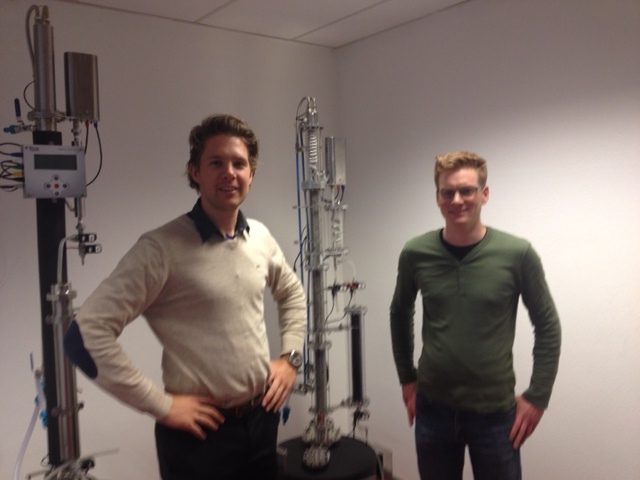 Today, Ernst Erik and Frank visited our iStill Showroom. Ernst Erik and Frank work for Hooghoudt, producer of some of the greatest Dutch genevers. Hooghoudt wants to buy a still for their product development laboratory. The iStill 50 h2o VISION is their prefered option. That’s our all automated, water jacketed 50 liter model with glass column and tablet computer! ← New iStill Movie is out!